Any enduro or motocross riders out there? Give us a shout in the comments section below and let us know where your favorite trail is at. 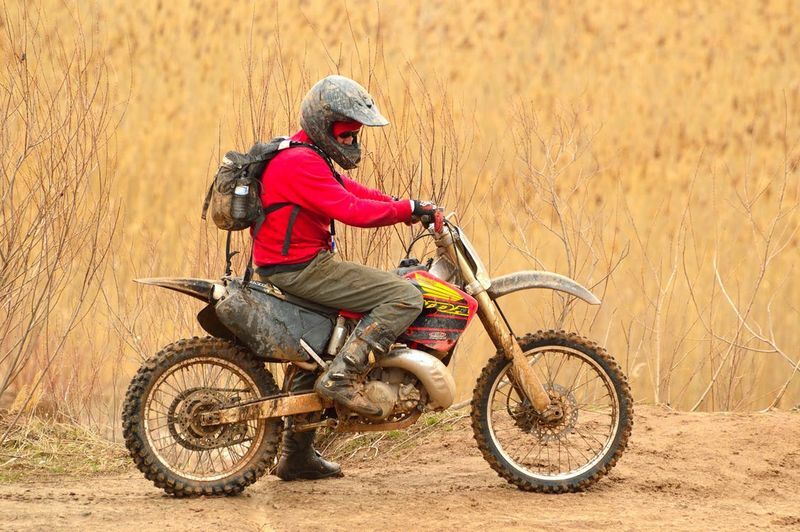 Offroad and motocross riding necessitates a lot of gear: gloves, sturdy riding boots, elbow pads, kidney belts, roost deflectors, helmets… the list is exhaustive. Some of the gear you don’t need, some of it you simply can’t do without and some of it you think you don’t need, but actually you do. Most of the gear is for the rider, while other gear can be fitted to your bike. Like handguards, for example. Many riders mistakenly think that a pair of motocross gloves provides enough protection for an offroad or motocross ride but we’re here to inform you otherwise. Acerbis handguards come in all styles for different riding (motocross, offroad and even for cold weather) and boast several important features. We wouldn't want to be biased as there are definitely good equivalents from the Cycra and TMS brands, so of course we've put them to the test and gathered some common questions that riders have about handguards to help you better understand which is the best handguard for your riding. A great choice for intermediate to expert riders that enjoy the occasional run, this enduro handguard comes at a very decent price. What is the Purpose of Handguards? Will Handguards Distract Me Or Limit My Riding Ability? Putting it simply, handguards are a piece of equipment that attach to the handlebars of your bike. Depending on your bike model and handguard selection, the handguards can be mounted to the inside of the handlebar either on top or underneath. Despite their seemingly specific name, handguards actually have more than one purpose. The first (and most obvious) benefit of motorcycle handguards is the level of protection they offer for the more adventurous rider. 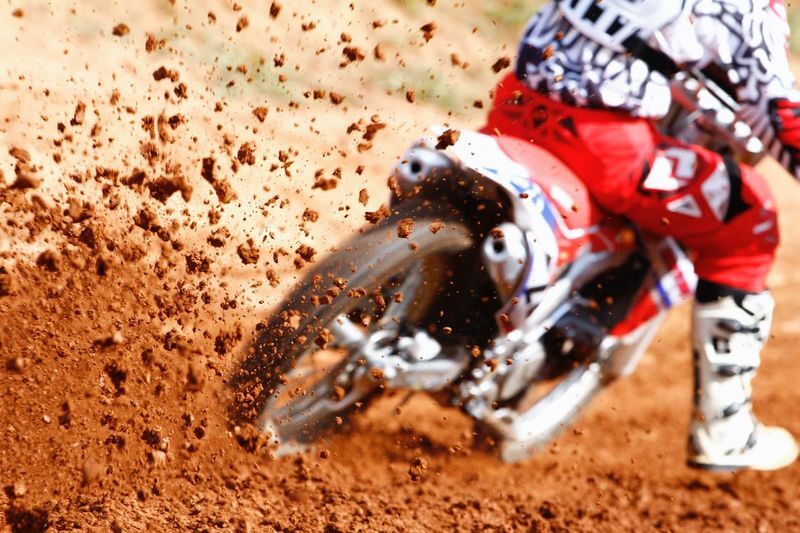 Whether you love dirt bike racing, motocross, enduro or just hitting some rough and tough trails, you can bet on colliding with flying roost, tree branches, sharp rocks, uneven terrain and even other riders. Any object that hits you from the front will hit the handguard and avoid damage to your fingers, hands and palms. Speaking of things deflecting off the handguard, that brings us to the second benefit of bike handle guards. The handguards provide adequate protection for your levers and you know how important those are. I don’t know if it’s ever happened to you but I hit a wicked branch once while riding and it knocked my right-side handlebar into the galaxy, severely damaging my levers. The repair cost an arm and a leg, about four times as much as it would have cost to just install an Acerbis handguard. The third benefit is that handguards help you keep a good grip on the handlebar while riding. Did I mention that the wicked branch knocked me on the hand, too? So hard that I actually lost grip on that side and swerved off-track, straight into the wicked, wicked tree that was home to the wicked branch. Let’s just say it was NOT a pretty site (but the tree was fine, of course). And one last benefit, for the dirt bikers out there. How many times do you try to wipe the mud off your levers, grips and gloves while riding? A lot, I’m willing to bet. Handguards seem to take a lot of the mud hit, keeping your levers and grips mud free and non-slip for those tough turns. Probably not, but this one is up to you. Enduro handguards are often reinforced with metal, which makes them heavier but also sturdier than their motocross counterparts. Steel bar-end inserts are often included to stop the guard from rotating in a crash. 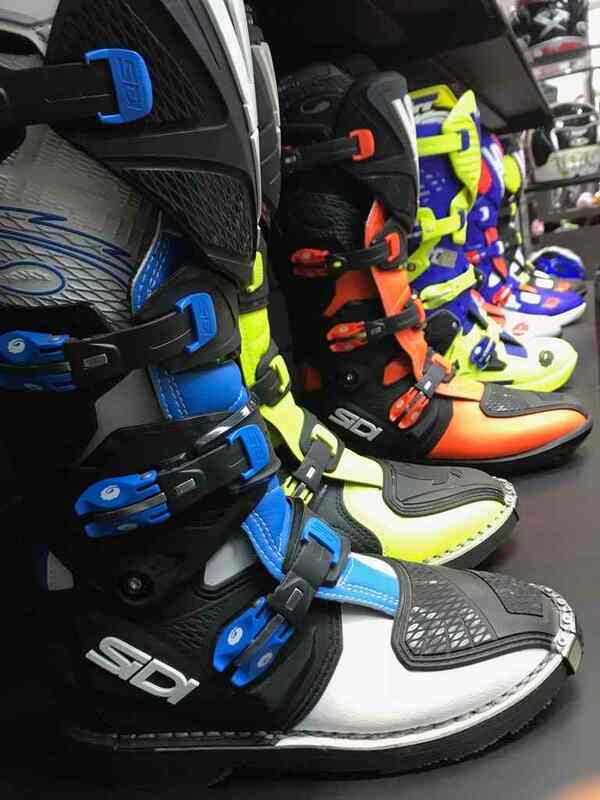 Enduro racing demands a more heavy duty handle guard that can withstand almost any situation, while motocross handguards perform fine without the added protection. 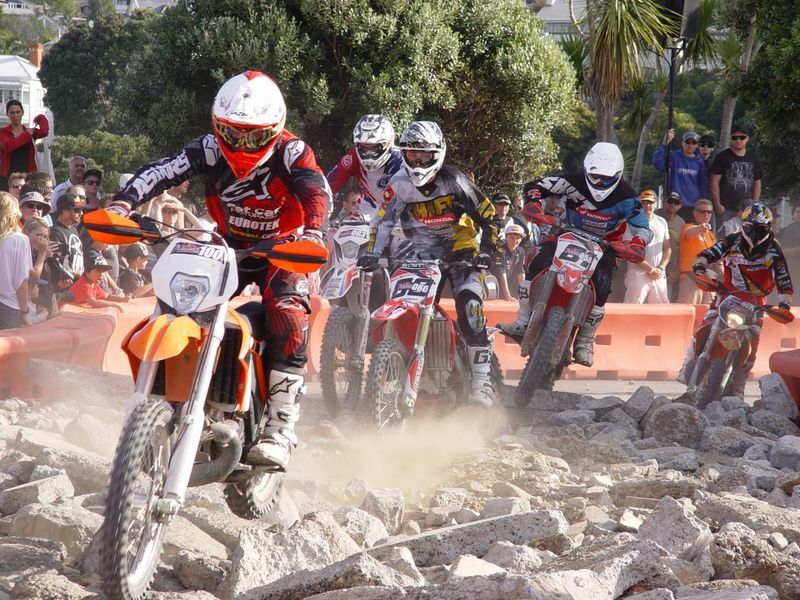 Many riders go without handguards, claiming that they are too heavy, distracting or simply not necessary. I like my fingers whole and my bike pretty but this one is up to you to figure out. Run with both and see how you feel afterwards before setting out to buy a pair. Also known as open or standard handguards, these are a powerful choice preferred by professional riders. These are mounted to the inside of the handlebar either on top or underneath, depending on the model. Motocross handguards are built with a rough terrain in mind and provide great protection from roost, debris and strong wind. They are also built with ventilation to provide maximum airflow. 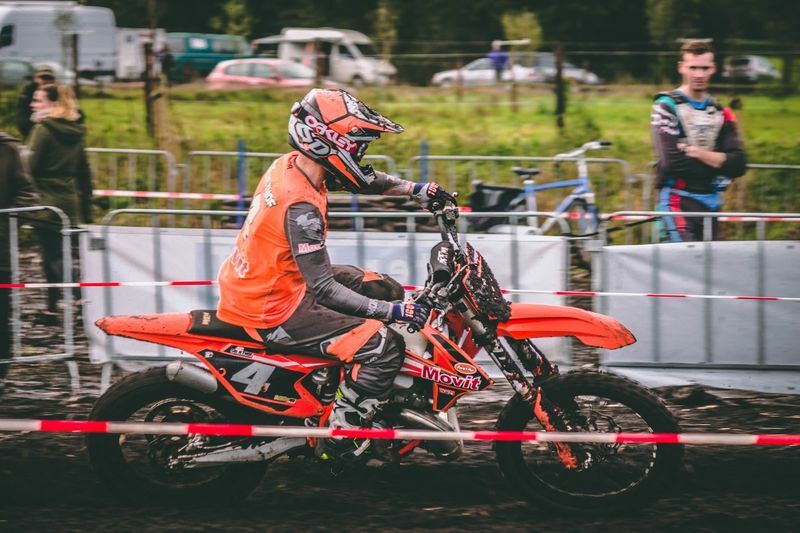 The clasp and mounts for motocross handguards can be made from several materials, with plastic and aluminium being the most popular choices for strength and flexibility. An optional spoiler can be attached if you want to block off airflow, which is really convenient. Some MX handguards are able to pivot, which means they will hold up better against impact if you should fall. These are handguards that wrap around the handlebar completely. I would say these are the optimal choice for enduro riding. They are mounted to the inside of the handlebar and also mount to the end of the handlebar – essentially, they cut off the end of your grips and throttle tube so if that’s something you can’t deal with, these are probably not for you. I’ve done a few rounds with full wrap-around handguards and surprisingly, they were less limiting than I thought they would be. Since these are full and secure in two places, these are considered to offer a bit more strength and durability than mx handguards. If you tip over or crash in a way that might damage your handlebars, these handguards are more likely to protect levers from serious damage. Acerbis usually makes these from a strong injection-molded plastic, with an aluminium clamp. If you’re worried about not having enough clearance between your hands, the handlebar and the enduro handguards, this model from Acerbis will serve you well. There’s plenty of room for cables and brake lines, with a strong curve outwards to give you some extra room for easy grip and manoeuvring. The inner bar is aluminium for better protection and the shield part is made of a durable injection-molded nylon composite. The price range is nicely in the middle between the cheap stuff and the high-end, professional level handguards – a nice balance, and perfect for the intermediate to expert rider that goes out for the occasional trials or enduro runs. I don’t mind doing a bit of extra effort when it means the gear comes at a great price. A bit of extra effort has never tasted so sweet. I’m not a fan of modifying gear to fit with my bike but sometimes it’s necessary. Although this pair might need some slight modifications, TMS has designed these to be sturdy yet affordable. At this crazy low price, it is well worth the extra effort that installation may require. Like the Acerbis model, these have more than enough room for brake lines, cables and hand grip, with a reinforced interior bar for extra durability. Beginner or moderate rider that hasn’t ran with handguards before? This is a great starting point since you won’t have to dedicate a huge chunk of your savings or riding gear budget for gear. I've grown up with riding with Cycra handguards, Im a big fan.. and it feels good to support the economy by purchasing quality enduro handguards that are made locally. Cycra is another great brand that produces top quality gear and equipment for bikes. This model comes with a probend shape and a center reach mount, and the best part: proudly made in the USA! It’s great being able to support local products, and easy to do when products are made to last and great to use. The plastic abrasion guard is easily replaceable and the set comes with powergrip alloy bar ends and 1” spacers. Like the TMS model, this handguard might need some modification to fit on certain bike types but the set comes with everything you need to install the handguards easily, and installation is much easier than other models. Are looks important? There’s a PowerMadd motocross handguard available in pretty much any color, so you’re in luck. These handguards from PowerMadd are vented and come with vent covers, a nifty feature that lets you improve airflow on hot days or prevent it in cooler weather. 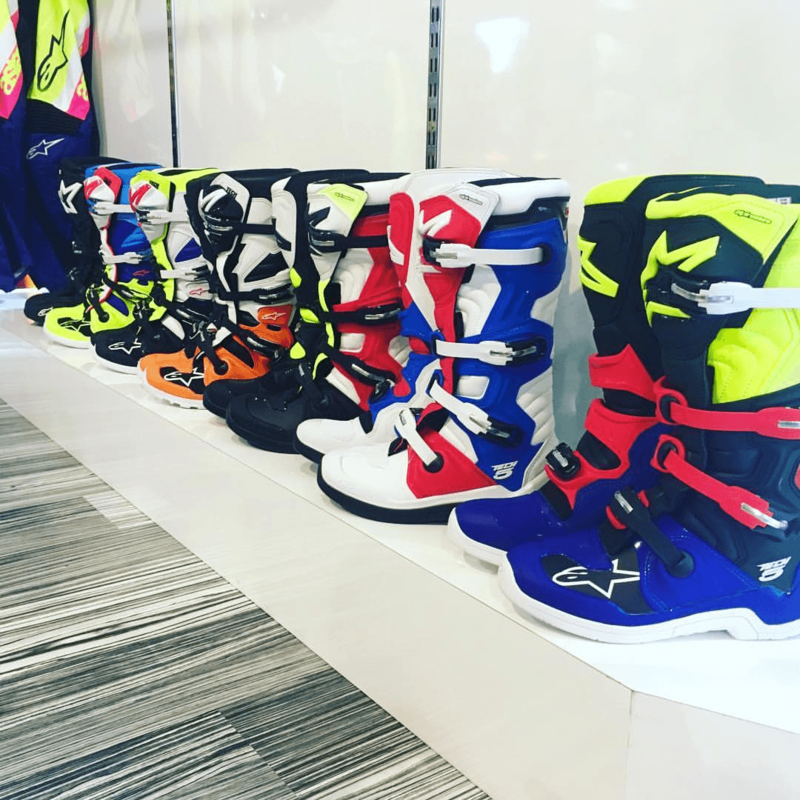 These are multi-purpose and can be used on ATV’s and snowmobiles as well. They also come in a wide selection of colors so if you’re picky about the look of your bike, these would be a great choice. In fact, you could probably buy a few colors to match your bike because the price is such a bargain. My bike is all black so I can choose pretty much any color and it still looks cool. I may or may not have purchased a bunch of these already… man, I hope my wife doesn’t read this. I also may or may not have hid them around the house so she doesn’t notice how many I bought. Optimally vented handguards make it easy for you to enjoy motocross riding even on the hottest summer day. Another vented option, this motocross handguard from Acerbis has a great design that allows for optimal airflow. Living in a hot, dry area? This is an ideal mx handguard for you. The set comes with a mounting kit, although it doesn’t include a bar to attach to the handlebars. These are lightweight and won’t distract you while riding. 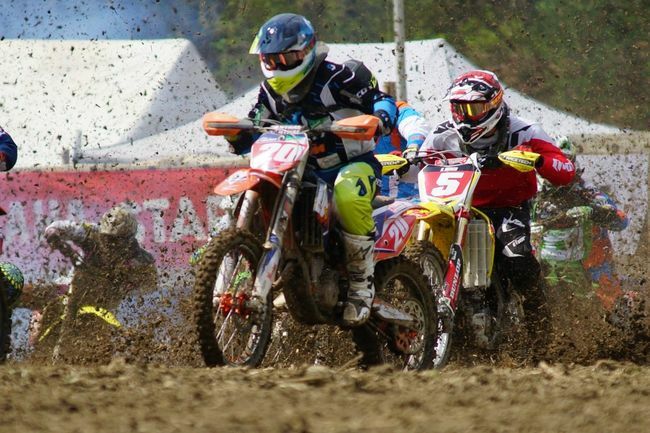 Motocross riding is demanding and could be stressful, so lightweight mx handguards are a must for competitive runs. 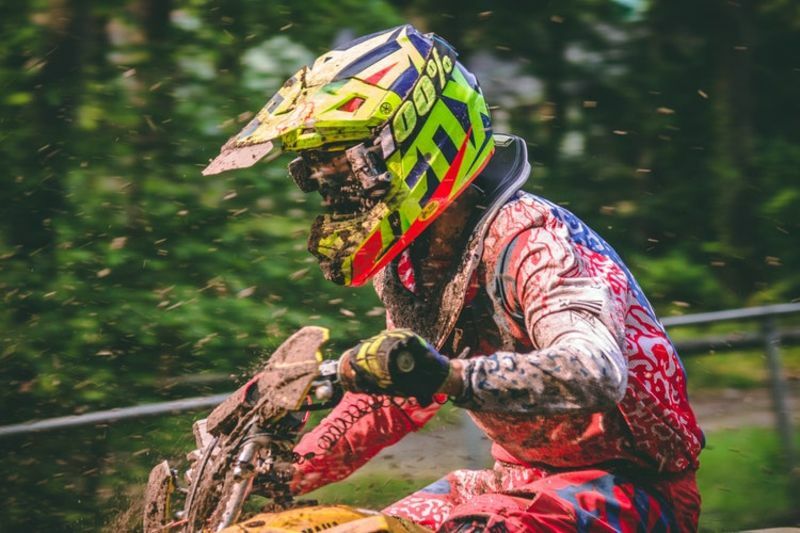 Acerbis always creates their handguards with potential scenarios in mind so you don’t need to worry about dealing with roost, dirt, tree branches or anything else that might come your way. Everything you need in a motocross handguard and more. An easy install, aluminium brackets, rubber edges for better flexibility and a great design… ticks all the boxes. Aluminium brackets, in-molded rubber edges, easy to install… what more do you need in a motocross handguard? Well, Cycra offers more. The set comes with a rotating bolt plate, meaning your brackets can be mounted below or above levers. That also helps ensure that the bracket fits pretty much any bike. The design is stylish, sleek and quality. If you’re looking for a good mid-range option, this motocross handguard is the one. Whether you’re looking to buy motocross or enduro/off-roading handguards, there are a lot of great models out there. As far as enduro handguards go, the Acerbis rally is our vote for the best motorcycle handguard. It’s great for everything from intermediate to expert riders, and the price sits nicely in the middle range. The handguards are sturdy, flexible and well-made. Our choice of best motocross handguard goes to the Acerbis Uniko model. The vents are well-designed to support the best airflow possible, and they’re lightweight without compromising on the flexibility and structure of the product. Perfect. The question isn’t what handguard you’re going to get. The question is: why don’t you have one yet?